Hi Mel. Sounds very interesting. I look forward to seeing it! I think you will enjoy it. Let me know when you see it. Hi Mel. 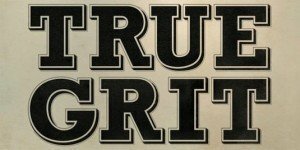 I finally saw True Grit on the plane ride home from China. I loved the dry wit and humor. Really enjoyed it! Thank you for the recommendation. Previous Previous post: Increasing Police Presence??? Really? Next Next post: Video. Really?